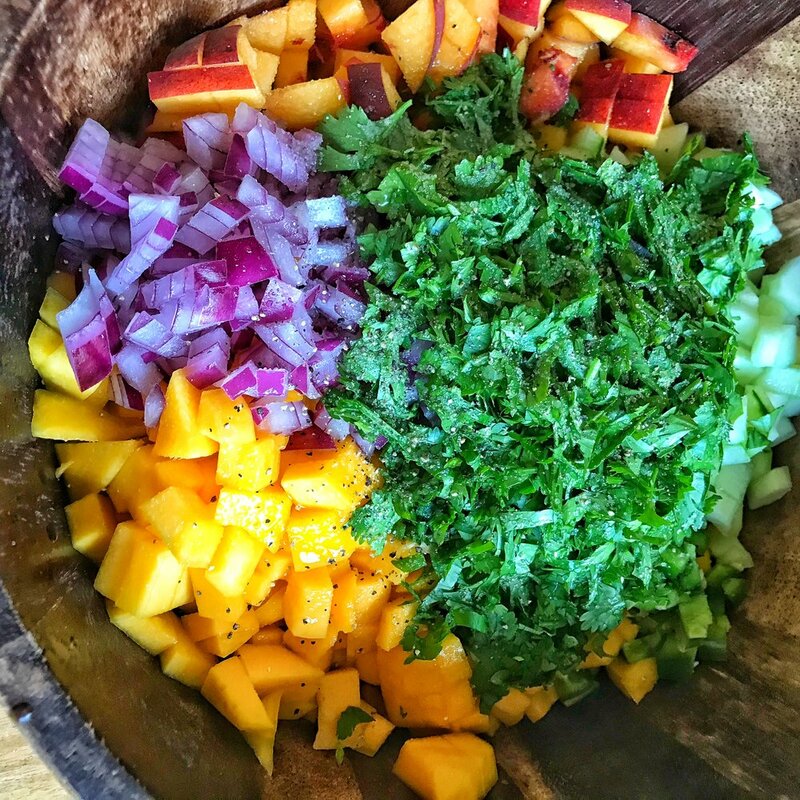 Cue: my favorite ever, fruity, spicy, refreshing mango salsa! 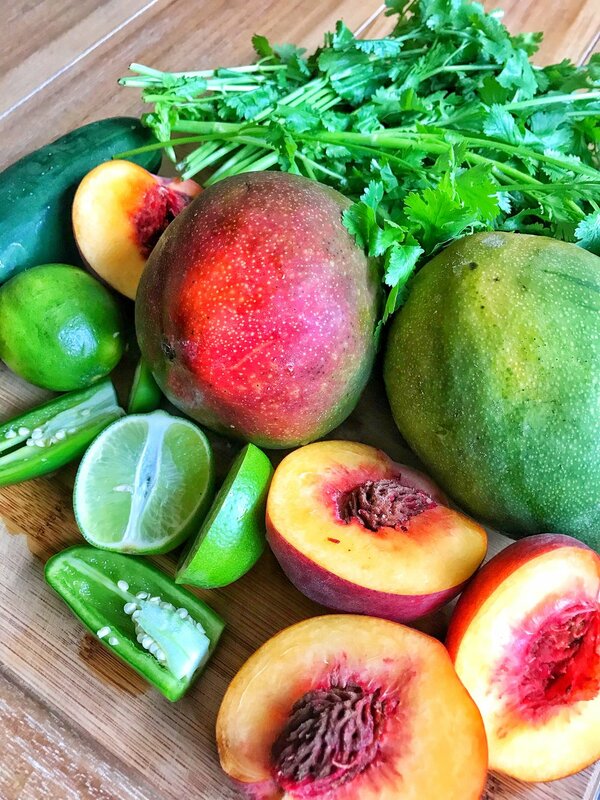 If you read my post for my Simple Summer Salsa then you know that-that recipe was inspired by my dad. This recipe, however, is all about my mama. I’m not sure when she first made a similar salsa but I do remember how much I loved it as soon as it hit my taste buds! My mom is the strongest woman I know. She is a smart, funny, wine-loving, golf playing, badass. And while I wouldn’t describe her as someone who loves to cook, she’s got a few recipes up her sleeve that are noteworthy, to say the least. This salsa recipe is one of them! In my pre-plant based days I could take down a half dozen of her deviled eggs no problem! But since ditching eggs, I now replace them with roasted cauliflower that’s been chilled and use all the same ingredients-vegan mayo, mustard, paprika, etc. It’s those key flavors that give me all the tasty nostalgia of "egg salad" or her amazing deviled eggs! With just a few easy ingredients this salsa comes together really quickly. PLUS no machines necessary. Just chop, dump, and stir. Dip your chips right in, OR OR OR: add to tacos, quesadillas, burgers, salads, tacos, enchiladas, did I mention tacos? Here I’ve paired it perfectly with chorizo and roasted potato tacos, with the addition of a quick cabbage slaw. PERFECTION. This stuff is addicting! And the whole recipe makes about 7 cups or so-so it’s perfect for your Labor Day BBQ plans, end of summer parties, and back to school bashes! 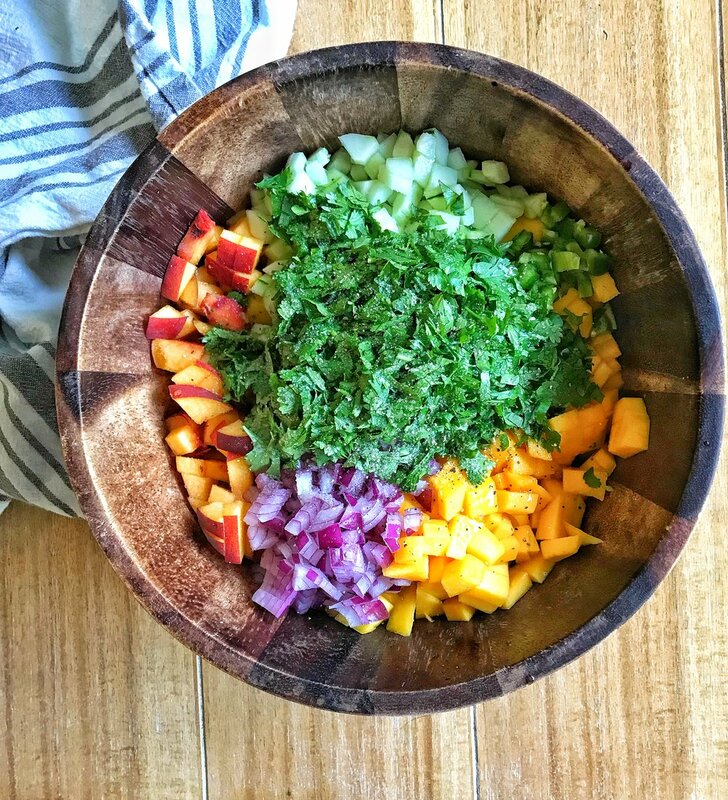 Enjoy the last drops of summertime sweetness with this perfectly refreshing mango salsa! Perfect for tacos and tortilla chips! Chop all of your ingredients, throw them in a bowl, stir it up, taste, and adjust seasonings. It’s that easy!